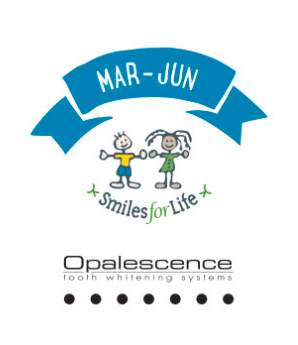 Every year from March 1st through June 30th, hundreds of dental practices across the United States and Canada perform professional teeth whitening for the Smiles for Life charity, and our practice is one of them! 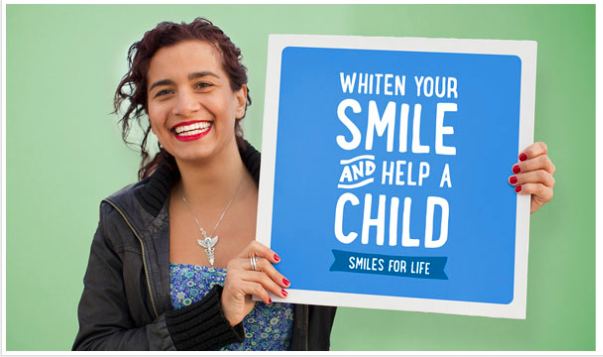 Smiles For Life is a charity that benefits children who are ill, disabled, and/or underprivileged, and when patients make a donation to have their teeth whitened, 100% of the donation goes to charity. Half of the donations are made directly to the Smiles for Life charity, and the other half are made to a charity that we choose to sponsor. This year, we are sponsoring Hope Arising, a charity which benefits the village of Dera, Ethiopia, in developing perpetual self-reliance through education, healthcare, and micro-enterprise. Teeth whitening works by applying a solution of hydrogen peroxide to the teeth, which diffuses through the enamel and breaks downs compounds inside the teeth that are causing them to be discoloured. Once these compounds are broken down, the teeth are lighter! Teeth whitening works best on clean, healthy teeth which are free from cavities, plaque, or tartar, while under the direction of a dentist. There are many different over-the-counter whitening products available that use low concentrations of hydrogen peroxide, but the safest, most effective, and most efficient way to whiten your teeth is by using professional concentration hydrogen peroxide, prescribed by your dentist. By having your teeth whitening done in your dental office by a dental professional, or at home under the dentist’s direction, your dentist can ensure that you are a good candidate for whitening, can provide predictable results after your whitening, and can verify the whitening progress to determine when you have reached your maximum white shade, and when it is no longer safe to continue whitening. Each individual has a limit to how white their teeth can become; this limit is called a whitening plateau. A whitening plateau is reached when the discoloured compounds in the teeth have all been broken down, and the teeth will not become any lighter. If whitening products, whether professional or over-the-counter, are applied to the teeth after this whitening plateau, the hydrogen peroxide begins to damage the teeth by breaking down the proteins in the enamel. This is called over-bleaching, and can be avoided by following directions for safe use of whitening products provided by your dentist, or on the packaging of over-the-counter whitening products. Other methods of whitening your teeth are available, but not always advisable. Toothpastes and dental floss that are marketed as whitening products remove stain from teeth, but not in the same way hydrogen peroxide whitening products do. Hydrogen peroxide whitening products remove stain from the inside of the tooth, whereas whitening toothpastes and dental floss use tiny abrasive particles that work like sandpaper to remove stain present on the outside of the tooth. When used for a long period of time, these abrasive particles remove superficial layers of your enamel and can overall be detrimental to the teeth. Whitening your smile is safe when done as directed, and can be a great way to prepare for a special event such as prom, or a wedding, or just to enhance your everyday confidence. If you’ve recently quit smoking, whitening away those tobacco stains can be a great way to reward yourself! 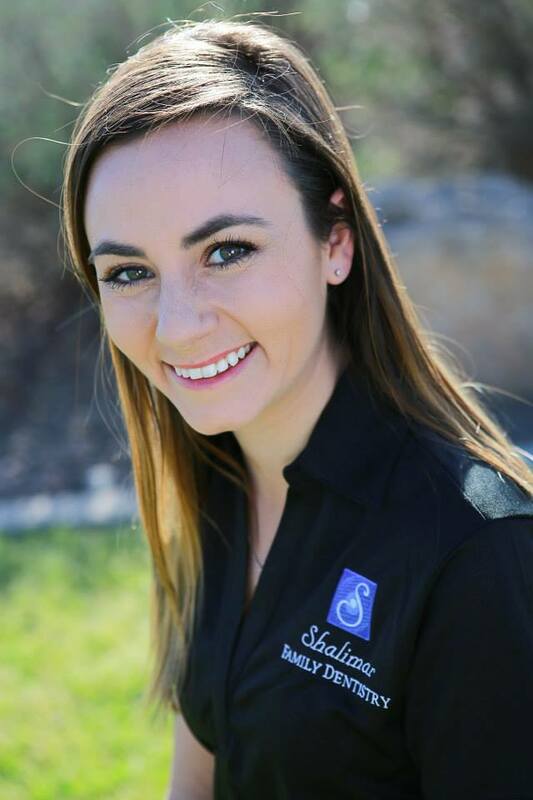 A beautiful white smile is important in making a first impression, and starting March 1st through the end of June, Smiles For Life whitening provides a unique opportunity to help children in need while treating yourself, too.